Jacqueline’s mother has been in prison since 1999 on drug conspiracy charges. Her deterioration in prison has been shocking—and has taken a huge toll on the whole family. Much later, as we sat in the courtroom at my mother’s trial, it was apparent that no one knew the woman who the prosecutor was describing. If she wasn’t my best friend and mother, neither would I. As I felt my world spinning out of control, there was nothing I could say to the jury about the mother of two who left an abusive marriage with nothing, who was creative, smart, unselfish, who always sacrificed, supported, and loved her family more than herself! I had never really given much thought to the prison system until my mother was tossed into it. 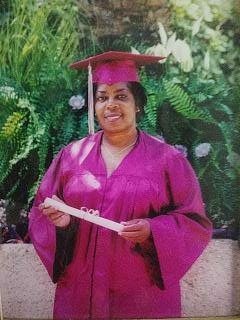 My mother, a 46-year-old African American woman in pretty good health, was arrested, tried, convicted, and on December 17, 1999, walked out of the courtroom and into the federal prison system, now labeled a first-time, nonviolent offender sentenced to an absurdly long sentence for drug conspiracy. The judge gave my mom more time than to some who commit the most heinous crimes, and in a blink, my mom’s reputation, family, and all she had built fell apart with a crash of the gavel. Life as I knew it, all our dreams, and everything in my world came to a crashing halt! The aftermath for all of us was mind-blowing. Those who knew her changed faces and tone, her home and business were ransacked by family and friends. Her business was undermined by rumors of federal seizures that never took place. Friends and officials in high places forgot about the woman who had left an abusive marriage with absolutely nothing, who made the most beautiful handmade wedding and prom dresses in Miami. No matter what she did, she always thought about her fellow man and gave from the heart. Personally, I suffered—and still suffer—tremendously from her being in prison. When she first went away I cried all the time and felt guilty. For three straight years, I was diagnosed as clinically depressed. Sequioa, my daughter and my mother’s first grandkid, became distant, angry, and very, very disrespectful to authority figures. She ended up in reform school because she fought all the time and would burst into tears and punch holes in the walls. In 2009 she was shot and ended up in a wheelchair. While I was on the job, the boss would become upset if I took her calls. I quit because she comes first, and if she calls while I’m working that means something is wrong! I pawned everything I had to keep money on my mother’s books because I wasn’t working and we had lost everything. For a while, I stayed in an abusive relationship because he was consistent with my mother’s money and making sure I had money to see her every month. When I got a job again, I simply added my mom as a monthly bill, sending her $100 every two weeks no matter what I have to do at home. I even worked extra to make sure I had money to travel to see her. Now I can’t send money like I need to and it’s killing me but I have nothing else to pawn. The only thing I can sell is my body and she didn’t raise me like that. I clean homes and do property management when I can find the work. In prison, my mother has had no choice but to adapt. She enrolled in every program the prison had to offer and she helped other inmates transitioning, all the while suffering in silence. My mom understands better than anyone that there are consequences for our actions and she had done everything the prison has asked her to do to show them that she is rehabilitating herself. In 2005 my mom began to complain about her health, and following protocol she notified medical staff about her hands that were going numb, her head that hurt so bad all she could do was sleep, and how her teeth randomly fell out. But staff said there was no hurry and nothing was done. To compensate her hair falling out, she cut it all off. When I went to visit and saw it this way, I missed her beautiful hair but I understood that this new look took less care. Her dental bridge broke, so eating was extremely difficult and she was losing teeth due to the lack of much-needed nutrients. Visiting her is so difficult. I have to rent a truck that can accommodate my daughter’s wheelchair to get there. Sometimes we pack a cooler and sleep in the truck. I am so anxious before, and I am an emotional mess every single damn time I leave her to this day. The last time I saw her, my mother was almost unrecognizable! She told me how they made jokes about her, calling her a hag, but won’t repair or return her bridge. She had dropped more than 90 lbs., her shoes flopped when she walked, her hair was thin, more than half her teeth were missing, her balance was off, and she shrieked at the slightest touch. She couldn’t hold anything in her hands and I couldn’t hold her. As sat in my truck after that visit, I screamed to God, When are you gonna fix this? What could my mommy have possibly done to deserve this? And my tears didn’t stop until I made it back home. After the disappointment of being denied clemency, failing health, and retaliation from medical staff, my mom is broken and you hear it in every word she speaks. There is no more pretending to be okay. 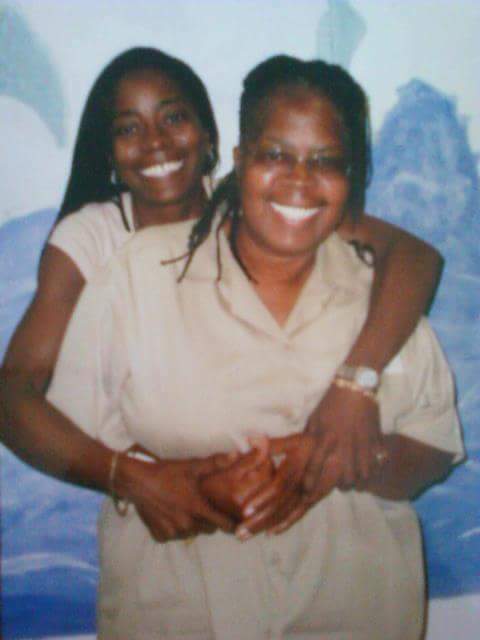 This year my mother will be 65 years old and up for compassionate release. The prison system isn’t set up for success or health care. My prayer is that this is the last year she has to suffer medical discord and neglect. The right thing to do would be to allow her to come home and let her family bear the burden of her care.